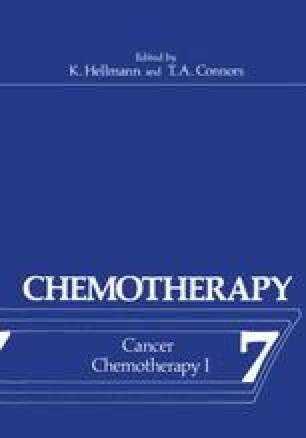 The potential antitumour effects of chemotherapy agents frequently are assessed in vitro and/or in vivo using experimental test systems consisting of tumour cells which show an inherent sensitivity to cytotoxic drugs (1–3). Since a major problem in cancer chemotherapy is that of drug resistance, there is a need to select agents effective against cells resistant to currently-available drugs. One approach, which has received little attention, is to use drug-resistant cells in culture.